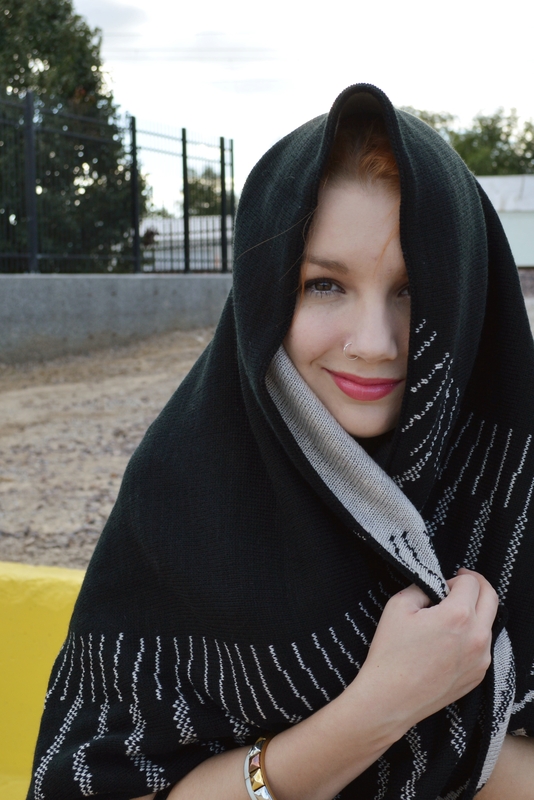 You guys, I made arguably the best autumn decision of all time: I bought a knit cocoon. Yes, I bought a knit cocoon, and you should, too. You know that guilty feeling you used to get when the Snuggie commercial came on T.V.? Maybe it was just me. “Wow, they can stay warm while snacking and playing backgammon?” I’d think. “I love that idea, but the Snuggie is so terrible… and I assume flammable. (Also, who decided this was a $75 value? )” A knit cocoon is as toasty and comfortable as any blanket with sleeves, but you can leave the house in it, and that’s pretty amazing. Just remember to keep the rest of the outfit fitted, to avoid looking like a squishy knit monster. *Missing from photo: A salted caramel mocha. Extra perk? The back of the cocoon can be pulled up as a hood for maximum coziness.